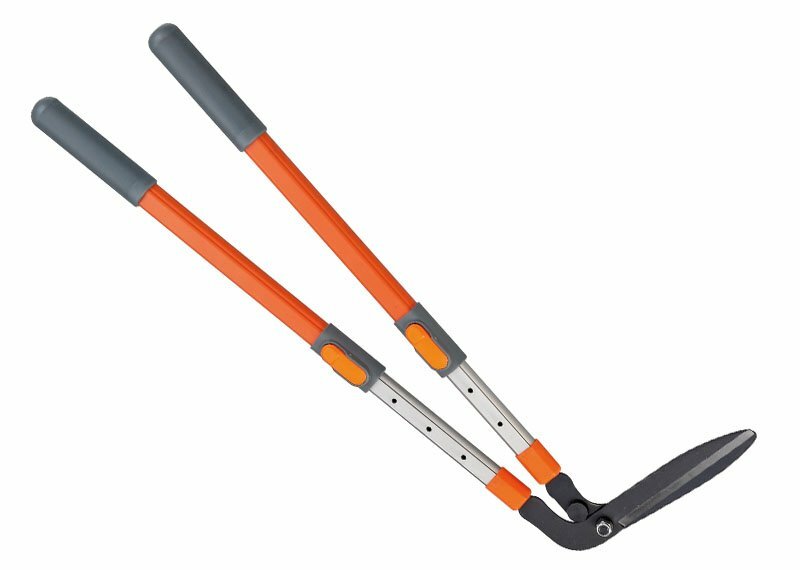 Do you use a whipper snipper for just about every edging job in your garden? 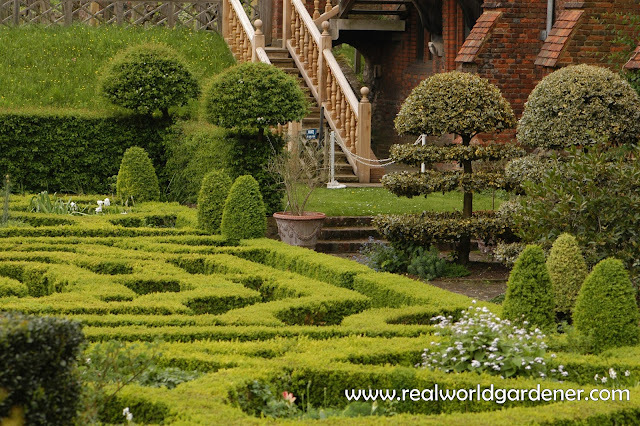 Whether you are pruning a Knot Garden or just a few shrubs you need to know what works best. Whipper snippers aren’t so good for areas where you’ve got lots of low growing plants that have crept over your lawn. If these plants get whippered snippered back, not only does it look ugly, but sometimes these plants don’t recover that well if ever. The same with electric trimmers. They tend to tear the branches. Hedge shears, Grass shears, Topiary shears. Straight blades or wavy blades. Which is best to use for you? The old saying goes "you get what you pay for" so by investing in quality tools, you’re likely to have less fatigue, fewer breakdowns and longer tool life. When choosing the type of hedge shears you want, think about how much you'll use them, where you'll use them, who will be using them, and, of course, how much you can spend on them.Wavy and straight blades are interchangeable in their use. The wavy blades hold the stem of what your cutting rather than pushing it out. Wavy blades are no harder to sharpen than straight blades, with various sharpening devices to accommodate them. There's also no difference in weight between wavy and straight blades. The weight is mainly in the length of the handles. Hedge shears should not be used to cut twigs or branches bigger than a ladies fingers. Bigger plant material than that, and the blades will be bowed out which is pretty hard to fix. 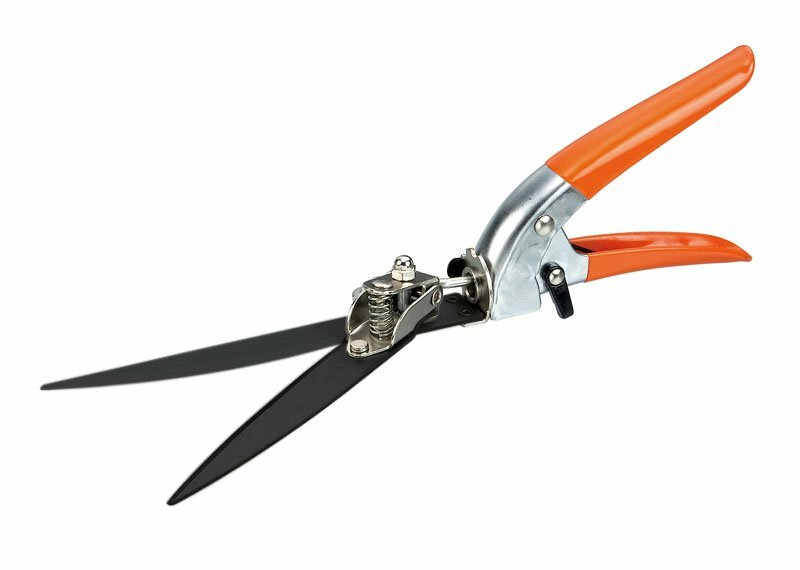 There’s no need to use your hedge shears to cut your lawn edges; for that your need grass shears or edging shears because these are perfect for lawn edges. Have you ever thought of eating the flowers of some of your plants but decided you didn’t know if they were safe? Why would you eat flowers anyway? Did you know that flowers that are edible are featuring in some of Australia’s top restaurants, including those of violas, baby’s breath, fennel, coriander, peas, rocket and Borage? Some explanation can be found from the history of edible flowers which can be traced back thousands of years. Romans used edible flowers such as mallows, roses and violets in a lot of their dishes. You’ve probably heard of and even eaten capers, but did you know capers (Capparis spinosa) are the flower buds of a Mediterranean evergreen shrub and have been used to flavour foods and sauces for over 2,000 years? Edible flowers such as daylilies and chrysanthemums have been used by the Chinese and Greeks for centuries. In a fifteenth century book of recipes is a list of herbs considered necessary for the garden and include borage flowers, daisies, violets to be used in soup, violets for sauce and gilly flowers (that’s clove pinks to you and me) for drinks." Nobody says you should tuck into a plate of flowers, because that would be too much. If you suffer from hayfever, then give eating flowers a big miss as well. 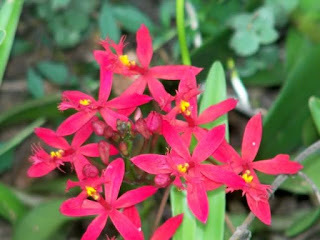 Another warning, not all flowers are edible, and some are poisonous if you can’t identify the flower, then don’t eat it. Then there are some that aren’t poisonous, but don’t taste nice. Stick to the ones you can identify from the ones that are mentioned in this segment. Well, I’ll talk you through a number of flowers some you might know already. Back to that question of why are restaurants adding flowers to their dishes?.. Is there something that you eat that’s a tad boring that needs an extra bit of zing and colour? Ever thought of tossing Nasturtium and Calendula petals into a fresh garden salad, or top a parfait with a couple of violets or heartsease? Everyone’s heard of stuffed zucchini flowers, and maybe Nasturtium flowers as well. They’re easy to identify. Nasturtium flowers are sweet with a peppery flavour. Zucchini flowers taste sweet, with a honey nectar flavour. Calendula or Pot Marigold tastes a bit like Saffron-spicy tangy and peppery. Flowers of the herb Rocket are much less peppery than the leaves, but the propeller shaped flowers are delicate, so handle these carefully. Violets and heartsease taste like sweet nectar and suit desert dishes. Borage is another one that many people might know already-those bright blue flowers on the blue-green stalks with large leaves that are a bit rasp like to touch. Borage flowers tastes a little like mild cucumbers. Pea flowers –guess what, they taste like peas. What should you do when collecting the flowers and how do you use them in your dishes? First of all, unless the flavour suits the dish, then there’s no point to adding the flower, so good chefs say. Take note all you budding Masterchefs. Looking pretty isn’t enough, it has to enhance the food. You might use pea flowers with other green flavours, and of course the flowers that taste of sweet nectar are used to lift the flavours of sweet dishes. Those with peppery or spicey flavours go well in salads. Less peppery than the leaves. How to pick your flowers. Pick your flowers just before you’re about to use them if at all possible. Check them carefully for bugs, but don’t wash them, because the petals are fairly delicate. Store them in the fridge in a plastic container covered with a damp paper towel while you’re preparing dinner, or lunch. Just as you’re about to serve the meal, add the flowers as a final touch. Sweet flowers can be combined with tea or frozen into ice cubes. Ground dried petals can be mixed into biscuit pastry or pancake batter for something different. Some flowers in your vegetable garden you don’t want to pick because they’ll grow into veggies that you want. There are others that you need to pick even if you’re not going to eat them because the leaves of these plants become bitter, these are greens including spinach, kale, mustard, bok choi, broccoli, and lettuces,radish and for herbs, basil, coriander, thyme, and mint. Why are edible flowers good for you? The flowers contain a portion of the same nutrients that the plant they came from has. Simple as that. Finally, remember if you’re not sure, to check with a reference book, your garden centre or nursery, before eating a flower to make sure it’s safe to eat. How To Look After Your Worm Farm? Getting Started. Still not convinced about worm farms? Well did you know that in one worm, there is around 474, 075 million bacteria ? These bacteria do an incredibly important job – mainly making minerals available to your plants. 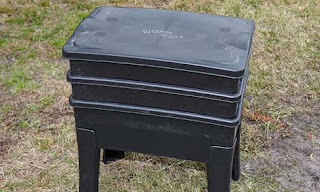 So which worms go best in worm farms? Let’s find out. 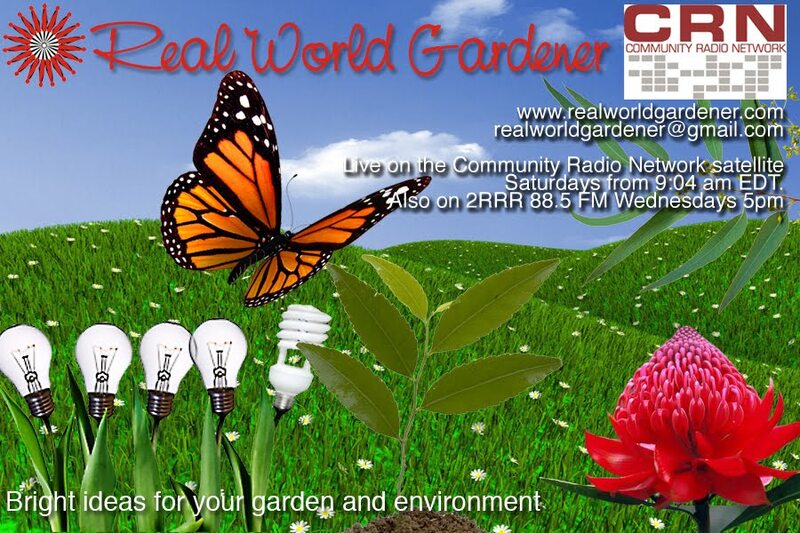 I'm talking with Sophie Goulding, environment project officer with a local council. Worms like to be kept moist and covered because they're Sensitive to light. Keep your worm farm in a shady spot so that they don't overheat and on hot days, give them a sprinkle of water. The worms don’t create the minerals out of thin air but change their form from insoluble to soluble by digesting them. That’s reason enough to get into worm farming. 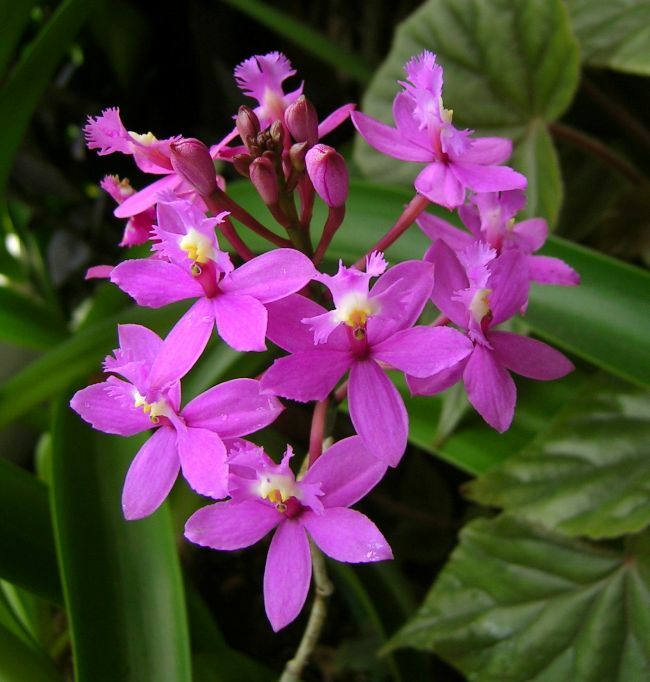 For some people, orchid growing successfully eludes them but there’s a reason why. Most supermarket chains sell the gorgeous and enticing moth orchid, but they’re not for beginners. If you’ve failed with a moth orchid, (Phalaenopsis spp.) you need to go for something tough and easy that you can practically throw onto the ground and it will grow. Crucifix orchids are constantly in flower and don’t have any trouble clinging to rock, as their roots work their way into tiny crevices and cracks. Crucifix orchids have tough, leathery leaves along reed-like stems, which can be up to 1.2m long. The clusters of starry flowers appear at the end of each stem and come in red, orange, yellow, purple, white and salmon. This is the perfect orchid for beginners as they’re incredibly tough and can be grown in any free-draining mix in pots or the garden, or simply tucked into a rockery.